A developer asks: After upgrading to Version 5.3, I want to learn which menus in the Developer portal provide access to which tools and functions. The six top menus have more than 160 choices. How can I learn and remember them? . 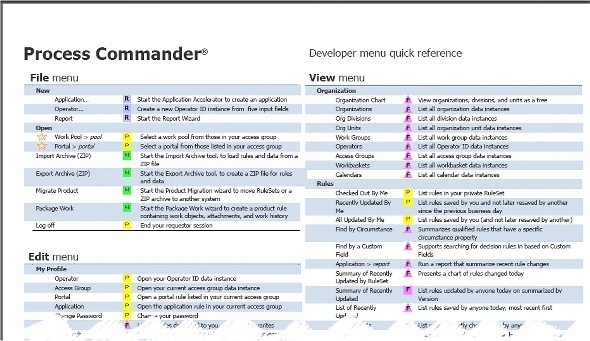 You can download and print a two-page quick reference to the menus. Click PRKB25115PRPCPC53DeveloperMenuQuickRef.PDF (102KB) to open or download the guide. You can print copies on a color printer.